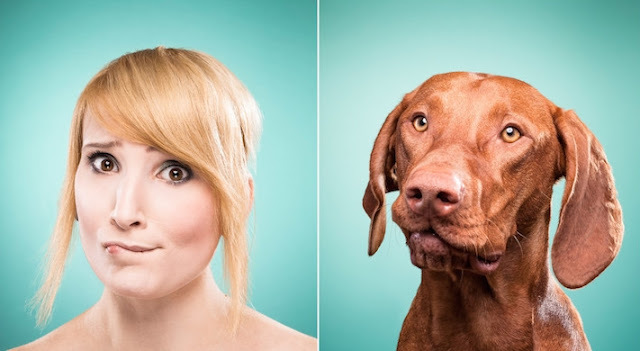 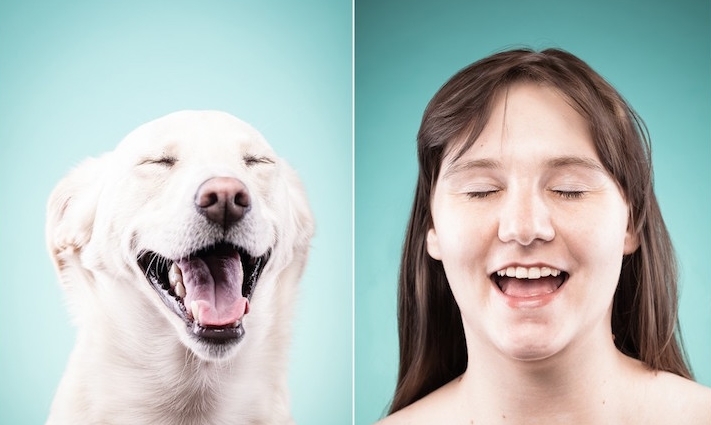 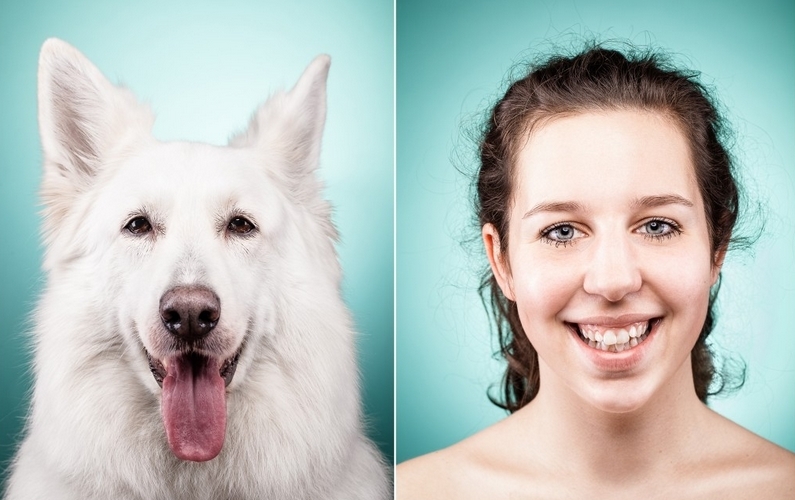 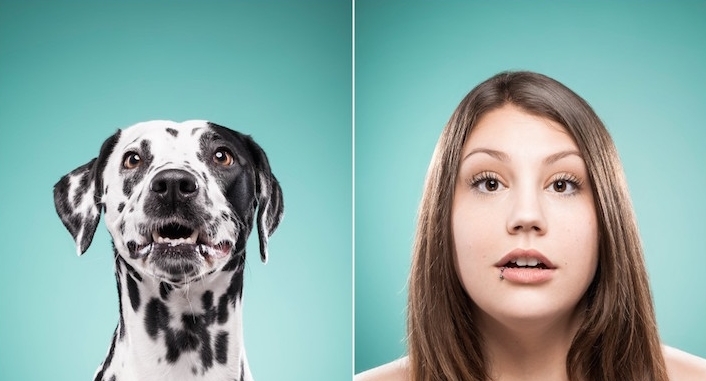 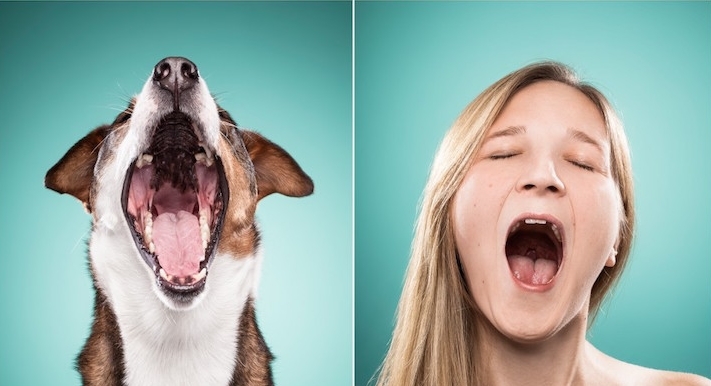 “The Dog People” is an ongoing project where dog owners try to mimic their dogs’ facial expressions. 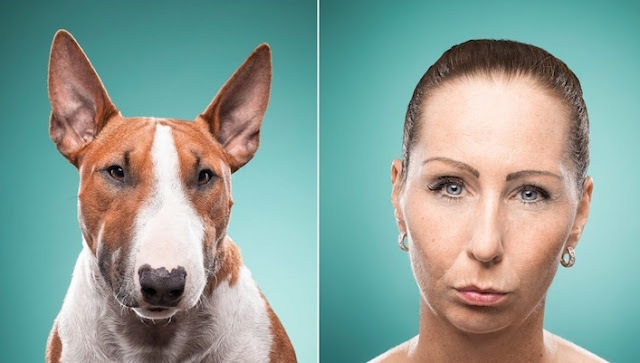 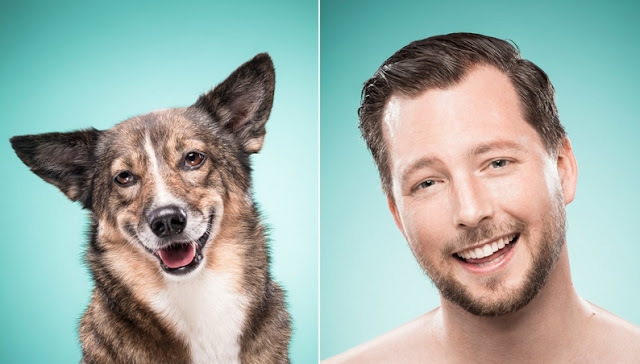 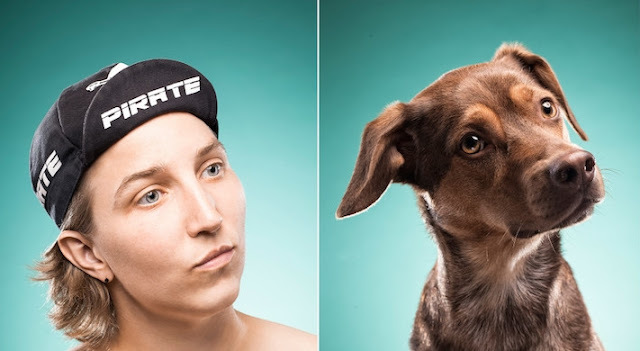 German photographer Ines Opifanti says " While I don’t believe in the common folk wisdom claiming dog owners become similar looking to their dogs over the years, I do believe that they become really really good in interpeting their pets subtle mimic.". Aside from their impressive impersonations, some of Opifanti's subjects do look quite alike. 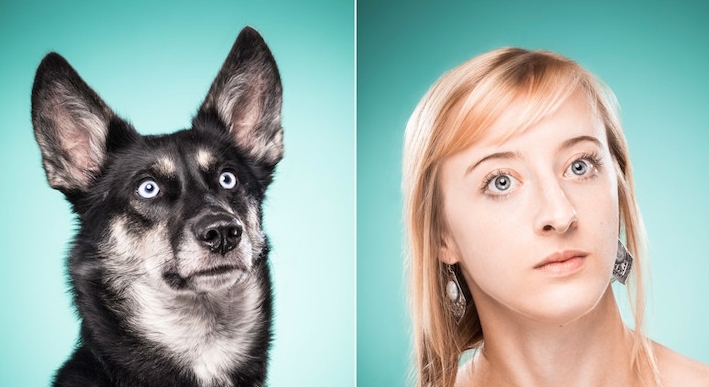 One duo has a similar hair and fur color, while another's snapshot showcases their seemingly identical big brown eyes. Based on how they're posing, certain pairs appear to have the same personalities. Then again, what matters most is the noticeable love that's shared between these pet owners and their loyal companions. 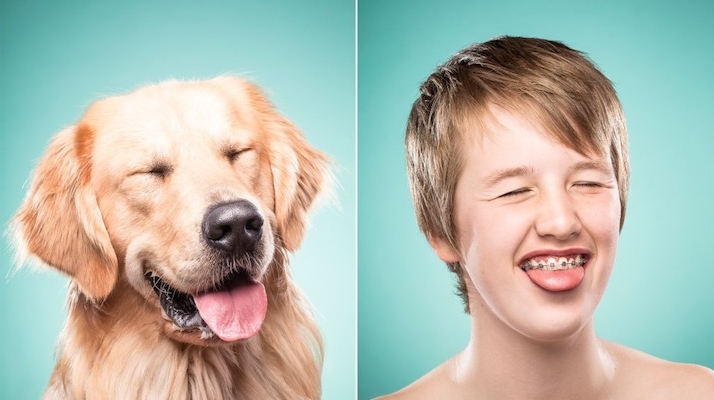 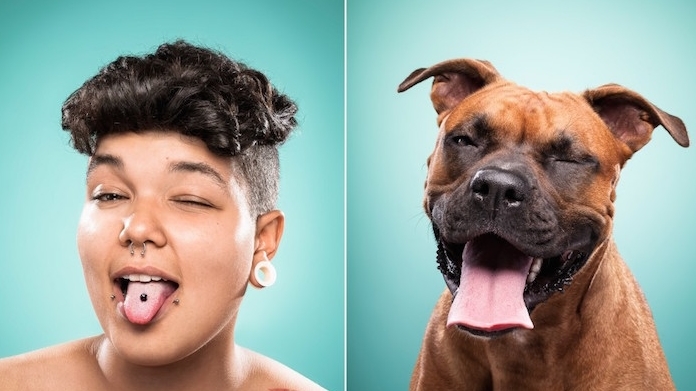 Responses to "Pet Owners Mimic Their Dogs in Adorable Look-Alike Portraits"